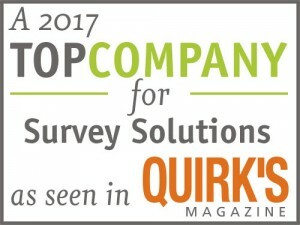 Data collection and analysis software for surveys, tests and other plain paper forms you create. Forms are scanned with an image scanner or multifunction printer (MFP). 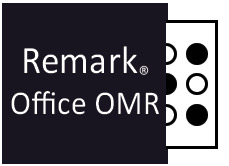 Remark Office OMR includes Remark Quick Stats®, a built-in analysis and reporting package that is used to grade tests. With the click of a button, the software provides many standard test grading reports. Reports are customizable in terms of information displayed, colors, fonts and graphics. All reports can be exported to various formats, including PDF, and emailed in order to get information into your constituents’ hands quickly and efficiently. Using Quick Grade, simply scan the answer key with the test answer sheets, click a button and reports are produced. For more advanced grading, Advanced Grade steps you through the process of setting up an answer key (including allowing multiple correct answers), selecting a grade scale, entering questions points, adding learning objectives to measure against mandated standards, setting benchmark scores for comparison against established benchmarks and other grading information for your test. Grade multiple versions of a test with multiple answers keys. Scaled Scores. The Advanced Grade tool supports “scaling” a score, whereby you look up grades in an external table (based on total score, percent score or percentile) and then apply the scaled score from the external file. Provides for customizable grading. Reports are available to compare achievement across various demographic groups of students. For each item Remark Quick Stats calculates: Mean, Variance, Standard Deviation, Standard Error, Min, Max, Range, Median, Skewness, Kurtosis, T-Value, Percentiles, Confidence Intervals, P-values, Point Biserial Correlation. For each answer choice Remark Quick Stats calculates: Frequencies, Percentages, Point Biserial. For each student Remark Quick Stats calculates: Total score, Raw score, Grade, Dev. IQ, Number correct, incorrect, unanswered. For the test Remark Office OMR calculates: Number of graded tests and items, Max, Min, Median, Range, Percentile scores, Mean, Variance, Standard Deviation, Confidence Intervals (1,5,95,99%), KR 20, KR21, Coefficient (Cronbach) Alpha. The reports produced in Remark Quick Stats range from class summaries showing detailed student and question achievement to item analysis to show question performance to individualized student grade reports. Please use the list of reports below to see the reports included in Remark Quick Stats. Provides a distribution of the grades for an entire class and test. This report is useful for gaining a quick grasp on class performance. Compares performance for groups of students. This report is particularly effective for reporting on subgroups of students’ adequate yearly progress. Compares performance for groups of students. This report is particularly effective for reporting in order to ensure all subgroups of students are making adequate yearly progress. Provides the ability to evaluate students’ scores in terms of whether they achieved the benchmark or learning objective defined for the test. This report allows you to quickly see who has or has not mastered the subject matter. This report provides complete test information for each student that can be handed back to a student, parent or teacher. It also includes an image of the test form to display marked responses. If a benchmark score was defined using the Grade Wizard, you may include a bar chart depicting the student’s score along with the benchmark. If learning objectives were defined using the Grade Wizard, you will see scores for each learning objective in addition to the overall test. Provides a graphical view of each student on the test and each question on the test in a matrix style. This report allows you to quickly see performance on both a student and question level. Provides a display of students who have similar responses on a test. This report is useful when concerned that students might be cheating. Used to view class performance for tests. Optionally shows detailed information about learning objectives, objective questions, and subjective questions. Great report for quickly seeing how students are performing and whether they are meeting standards. Provides answer choice frequency information on a question by question basis, including distractor and class score information. This report is a great way to see question and class performance at a glance. Provides basic statistics on the test as a whole and is useful for gaining a quick look at performance and basic statistical analysis.